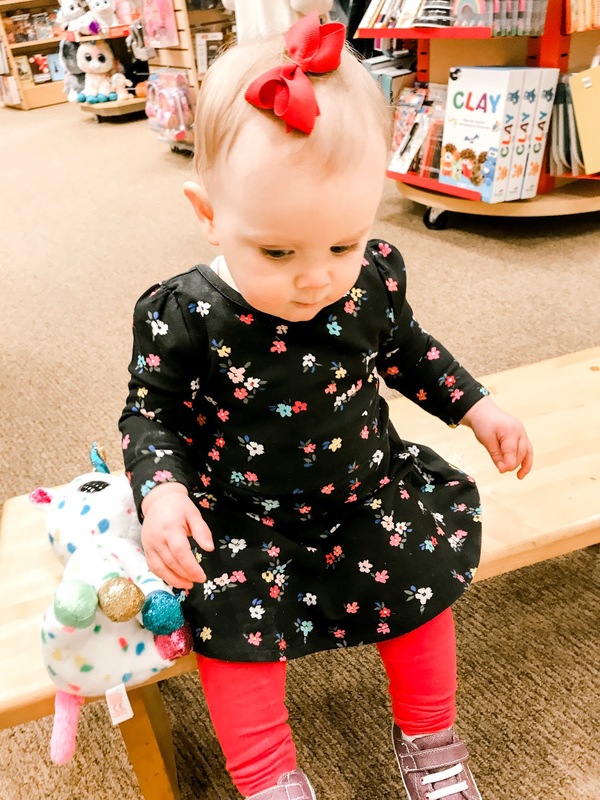 We had such a great week, I was a little worried we were going to go a little stir crazy with the little ladies having both last Friday and Monday off of school, but we filled the week with some fun little adventures and we are welcoming the weekend with open arms! Happy Fri-yay friends! 1: Cupcake Date with Nana at Barnes & Noble- When I realized the girls had Monday off... yea Mom tip- read your kids school calendar (ha)! I knew it was the perfect opportunity to use gift cards that Avery and Emerson got for their birthdays. Off we went to Barnes & Noble, we of course had to make a stop in the bakery and after that we headed to the children's section. The girls each got to pick out a book and a toy (seriously when did B&N become a mini toy store too!). Avery and I picked up the last Ivy & Bean book and decided to grab a Junie B. Jones book as our next series to read. Emerson picked a Toy Story book and we even grabbed the cutest St. Patrick's Day book to add to our holiday collection. It was the perfect way to get out of the house! 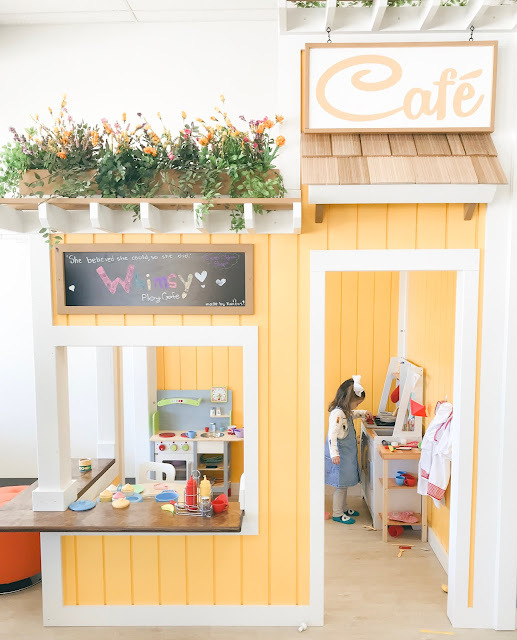 2: Morning with Mimi at Whimsy Play Cafe- On Thursday our adventures took us to a new Play Cafe in our area, Whimsy Cafe. If you are local, I highly recommend checking-out this adorable, fun and very clean cafe. The bright colored houses are all themed and have the cutest toys to play with, there is a special gated section for crawlers and the middle is filled with ride-on toys and some small slides too. 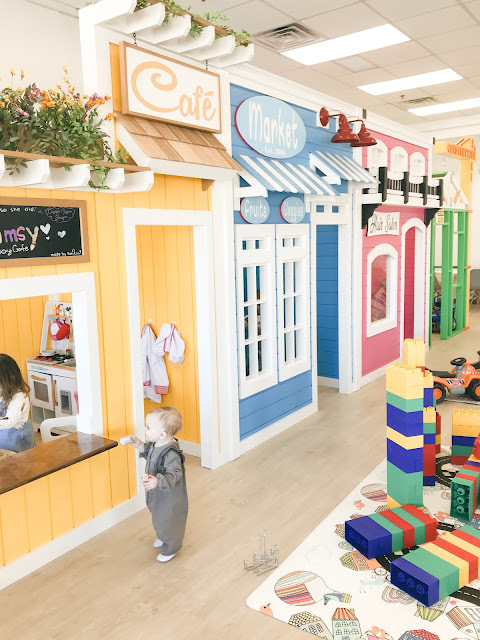 The BEST part is, they have a full coffee bar for Mom's and you can even grab lunch there, we can't wait to bring friends back to play! 3: Dry Shampoo Recs.- On Instagram this week I thought I would ask for some dry shampoo recs and I was not disappointed, there were so many dry shampoos recommended, I will be making a trip to Ulta this weekend! Living Proof was by far the most popular, do you have a favorite?! Monday: Snyder Family Co. 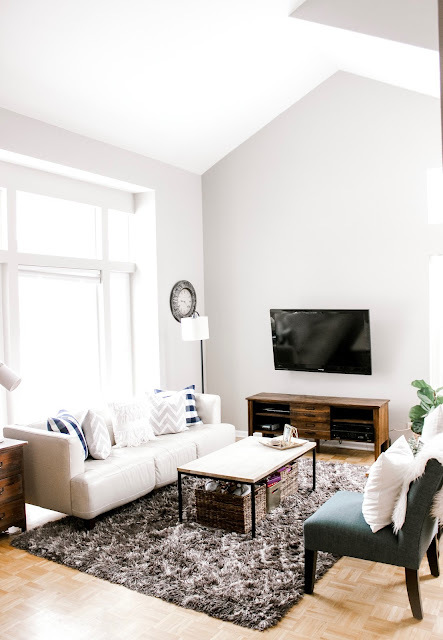 Living Room- I can't wait to give this room a little refresh, I shared some photos of our living room along with some home decor items I have my eye on! Tuesday: Tuesday Talk... Mom Approved Swim Wear- On Tuesday I linked up with Erica and Ashley, I chatted all about Mom approved swimsuits and I found some of the cutest suits and accessories, now I just need to plan a vacation! Wednesday: Wonderful Wednesday Blog Hop- Wednesday I got to guest host another Wonderful Wednesday Blog Hop, which is always so much fun, if you haven't linked with us before, make sure you check-it out next week! I always find the best recipes and cutest DIY projects during this hop. 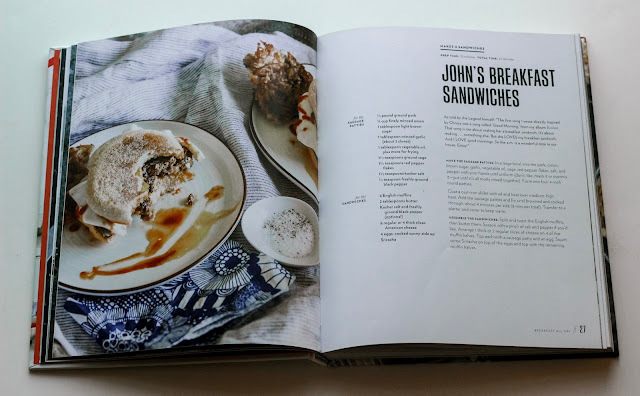 Thursday: What's Cookin' Meal Plan Week 4- I've still been cooking out of Chrissy Teigen's Cravings cookbook and this week was all about breakfast, take my advice and scoop up all the ingredients you need to make John's Breakfast sandwiches this weekend, they were SO good! 5: Next Week on the Blog- Next week I'm sharing all my tips for planning a Pinterest worthy party on a budget, along with a TON of photos from Isla's first birthday party, I can't wait for you to see how adorable her party turned out! 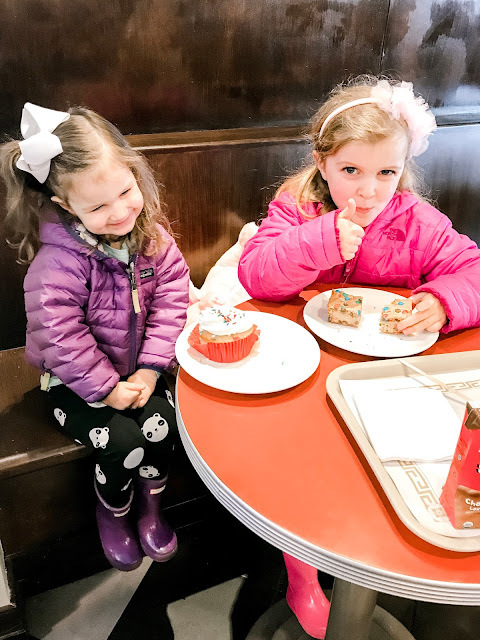 The little ladies and I are also going to be sharing some of the ways we plan on celebrating St. Patricks Day, we can't forget Chicago's favorite holiday, we hope to see you back here next week, have a great weekend! I FINALLY grabbed a small thing of Batiste at Ulta this weekend, I can't wait to try it out!